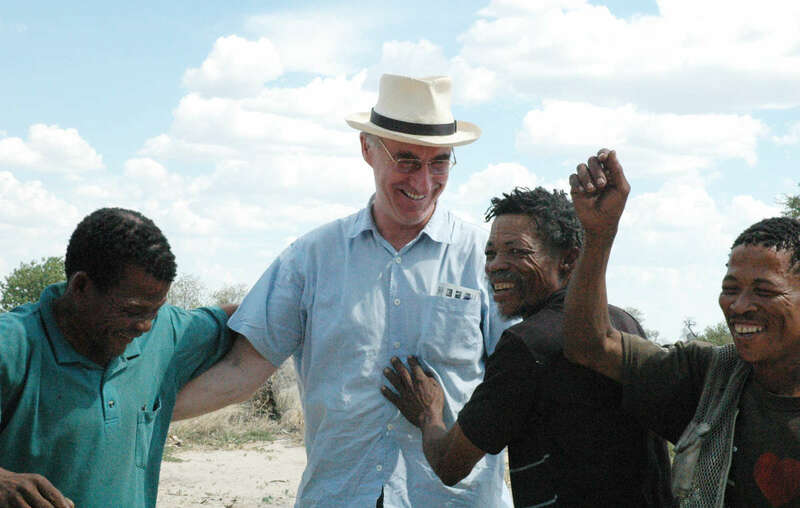 Mr Bennett with Bushmen clients after their historic 2006 legal victory. Botswanas government is now preventing him from entering the country. In an unprecedented move branded ‘vindictive and repressive’, Botswana’s government has prevented British attorney Gordon Bennett from entering Botswana, where he was due to represent Kalahari Bushmen at an important High Court hearing about the tribe’s access to their ancestral land. Mr Bennett was put on a ‘visa list’ after he represented Bushmen clients at a successful hearing in June 2013 to prevent the eviction of the Bushman community of Ranyane. It was the third time Mr Bennett had won a victory for Bushmen clients: in the first, in 2006, the Bushmen won the right to return to their ancestral land; in the second, in 2011, they won the right to drill their own water boreholes after the government attempted to stop them doing so. British citizens do not normally need a visa to enter Botswana, but six days after the Ranyane victory Mr Bennett was put on a ‘visa list’. No-one on this list appears ever to have actually been granted a visa. Mr Bennett applied for a visa, but has faced a series of delaying tactics by the authorities in Gaborone, apparently in an attempt to ensure that they do not have to consider his application until after the case has been heard. By then the application will have become academic. 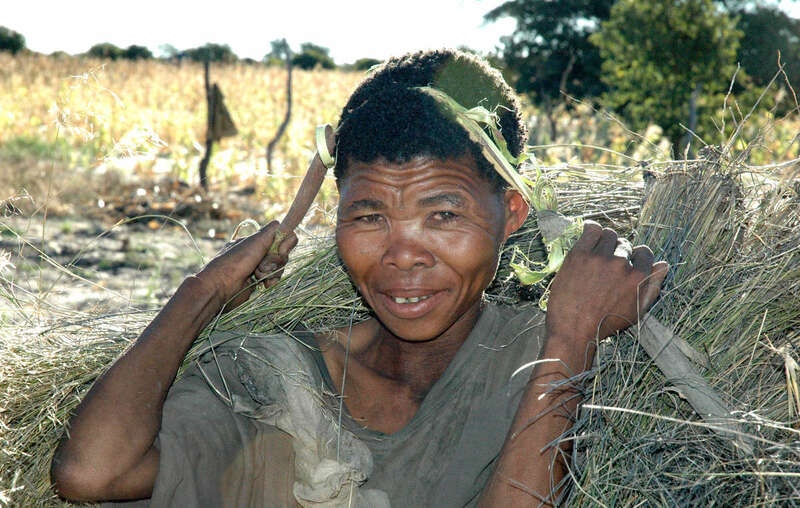 The Bushmen are returning to court for the third time on Monday, July 29 2013, over the Botswana government’s refusal to allow all Bushmen evicted in 2002 free access to their ancestral land in the Central Kalahari Game Reserve (CKGR). The Bushmen are returning to court again in their struggle to live in peace on their land. Most Bushmen are currently required to apply for permits to enter the CKGR – in blatant violation of a 2006 High Court order – and are facing ceaseless harassment and intimidation by the government. 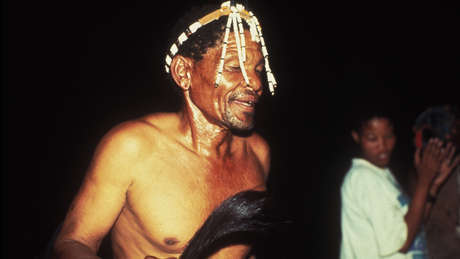 In a landmark ruling in 2006, at which Mr Bennett was the lead counsel, Botswana’s High Court confirmed the Bushmen’s right to enter the CKGR without a permit. The historic case was the first to establish the principle of native land title in Africa. But the government now claims that only the 189 people formally listed as applicants in that case, and their children up to the age of 18, are allowed free passage into the reserve – and that everyone else must apply for a one-month access permit. However, at the start of the case in 2002 the government had acknowledged that the ruling would apply to around 700 Bushmen, including children.